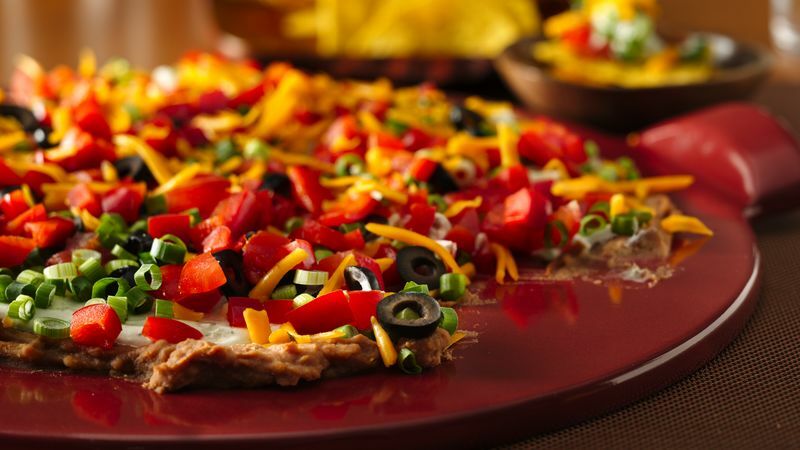 On flat 10- to 12-inch plate, spread refried beans. In small bowl, mix sour cream and dressing mix; spread over beans. Top with tomatoes, olives, onions and bell pepper; sprinkle with cheese. Serve with tortilla chips. Monterey Jack or Colby-Monterey Jack cheese can be used instead of the Cheddar cheese.